Located in Essex County, Ontario, Leamington was incorporated as a village in 1876. In 1908 H.J. Heinz Company built a huge factory giving Leamington the designation of “Tomato Capital” of Canada. The Heinz products which include ketchup and baby food are shipped to the United States, their largest export partner. At the time, farming was only a small part of the culture but with the success of the Heinz factory, the industry grew rapidly with the increase of tomato growers. Today, Leamington is known for its vast greenhouses and has the largest number of greenhouses in all of North America with 1500 acres “under cover”. 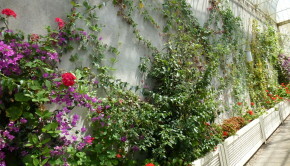 With tomatoes being their most important crop, the cultivation of cucumbers and peppers is also significant in the area. greenhouse cucumbers and tomatoes are grown with great care in controlled environments ensuring a high quality product with a superior shelf life. Because integrated pest management is used (good bugs eating bad bugs), Ontario’s hydroponic crops are virtually organic. Ontario producers are so close to the markets they serve, that shoppers can get safe, fresh cucumbers and tomatoes in as little as 24 hours. Leamington’s agricultural success is a result of exceptional soil quality, favorable weather conditions and knowledgeable and experienced growers. Migrant workers from Mexico and the Caribbean work the farms and greenhouses during peak seasons to handle the massive crops. 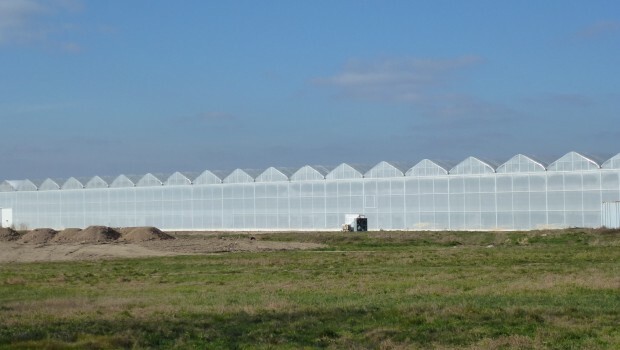 Since World War II, greenhouse production has become a billion dollar industry with the village of Leamington right in the center of it all.